It's the year 1964, and fourteen-year-old know-all Robbie Burns is about to discover he still has a lot to learn. The world is changing fast, although the news has yet to reach the small South Australian town of Penola, where Robbie leads an idyllic life of rabbiting, backyard science experiments, and hooligan scrapes with his friend Billy. Penola is oblivious even to its small celebrity as the birthplace of the poet John Shaw Nielson, but poetry means the world to Robbie's new teacher from the city, the stylish Miss Peach, a sixties sophisticate with stirrup pants, Kool cigarettes and Vespa scooter. Miss Peach's artistic yearnings and modern ways prove too much for the good people of Penola, but they fire Robbie's precocious imagination and burgeoning sexuality, until what begins as a schoolboy fantasy has terrible, real consequences. 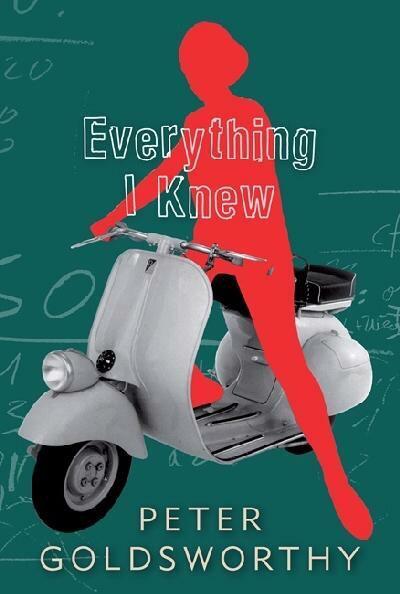 Everything I Knew challenges our determination to believe in the innocence of childhood and adolescence. Yet again it shows Peter Goldsworthy to be a master of shifting tone, from the comic to the tragic, and 'one of the few Australian writers to command superb technique'. Peter Pierce, The Sydney Morning Herald.